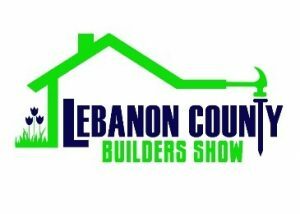 The Lebanon County Builders Association (LCBA) will host its 48th annual Home & Garden Show February 20-23, 2019 at the Lebanon Exposition Center and Fairgrounds on Rocherty Road in Lebanon, PA. With more than 120 exhibitors and partners and 4,000 plus attendees, this event is a great opportunity for industry professionals to promote their services and for homeowners to find professional assistance for upcoming projects. 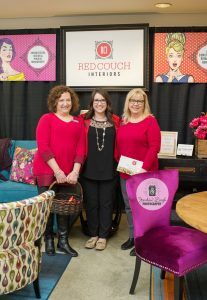 Red Couch Interiors has been participating in the LCBA Home & Garden Show for three consecutive years and enjoys building relationships with local businesses and the community. Along with traditional displays, two NEW exhibitions have been added this year. The first is Homestead Structures, a local Lancaster County contractor, who prides itself designing and handcrafting personalized exterior structures that fulfill their client’s personal needs both functionally and inspirationally. Their structures include, but are not limited to, Tiny Homes, She-Sheds, Pool Houses and Pergolas. The second new exhibition is Subcontractor Alley, a perfect showcase for small, local businesses to meet potential clients in a coffee shop type setting. Subcontractors and homeowners can meet face-to-face and make connections while enjoying a beverage and light snacks in a casual setting. 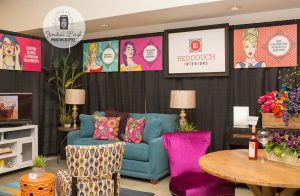 For the fourth year running, the Friday Night Fest will feature a wine tasting, sponsored by Red Couch Interiors. Local wineries will have samples and bottles to sell, and food samples and sales will be available as well. The first 100 customers in attendance will receive double-bottle wine totes. Direct sales vendors will also be exhibiting their products for resale. Family Fun Day runs all day Saturday and includes a variety of events for all ages and interests. The Humane Society of Lebanon County will host a Meet & Greet with furry friends for kids to enjoy, and Zoo America will give a presentation at noon. Face painting and caricature drawings will be available, and an Award Ceremony for the Coloring Contest promises to be a highlight. New for Family Fun Day is the addition of The Popcorn Hat Players, who will present their version of Aladdin. Rounding out the week are the Builder/Remodeler Excellence Awards, an annual program recognizing excellence in construction by members of the LCBA. This is an incredible opportunity for builders/remodelers and designers to showcase their talents by presenting projects that exemplify their best work. Among the ten project categories are Kitchen Remodeling, Outdoor Living, and Interior & Exterior Specialty Remodeling. 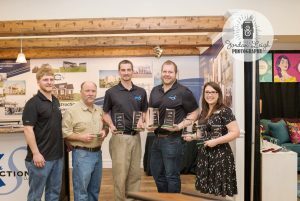 Last year Red Couch Interiors won Best Bathroom Remodeling, Best Kitchen Remodeling and Best Interior Design. 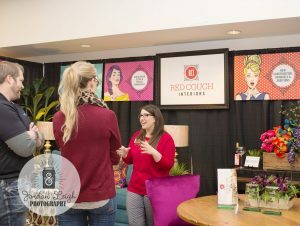 The Lebanon County Home & Garden Show presents a full range of opportunities and activities that will benefit both business owners and homeowners alike. We encourage you to take full advantage of this event and to support your local builders’ association. Win a FREE Bathroom Remodel! 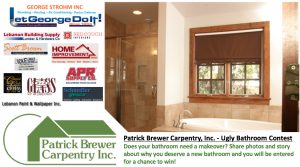 We are partnering with Patrick Brewer Carpentry Inc. along with other local area contractors in the “Ugly Bathroom Contest”. If you think you have the ugliest bathroom, this contest is for you! 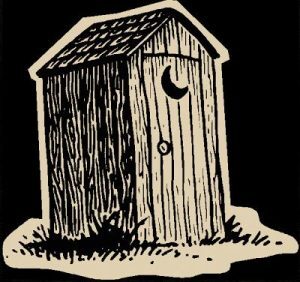 The bathroom to be awarded will be a takeout/put in bathroom, which consists of fixture replacement and general bathroom remodeling, etc. Please fill out the contest entry form below to win a bathroom remodel! Pictures of your existing bathroom must be sent, along with this form, by email to patbrewercarpentry@comcast.net or mail to Patrick Brewer Carpentry, Inc. at P.O. Box 2025, Cleona, PA 17042. Any questions please call 717-273-2500. Entries will be due by December 30, 2017 and the winner will be announced early January 2018.